Here you can find all my favorite Tarot and Astrology websites and services! Please feel free to click on the links I have provided, so that you can be automatically redirected to the website. Some of the links below are affiliate links, most are not. Every resource I provide is always a favorite, and honest recommendation of sites and services that I use regularly. Whether or not I recieve any commission, these recommendations are true and valid, from my personal arsenal of Tarot and Astrology resources. I have learned everything I know from all of the companies provided in the list below, and am always on a search for new and interesting websites and services having to do with Tarot and Astrology! That is how this list came to be, so please, if you know any tarot and astrology websites and services that have not been mentioned here, comment or send a message through the contact page. Rider-Waite is one of the original tarot card decks, and the one which is most commonly known. The difference with this deck is how vibrant and detailed the colors are on the images of the deck. The Radiant Rider-Waite allows readers to clearly see all the symbolism within the pictures, unlike the original Rider-Waite artwork. This deck is a must have, and especially useful for beginners who are still learning the card meanings. 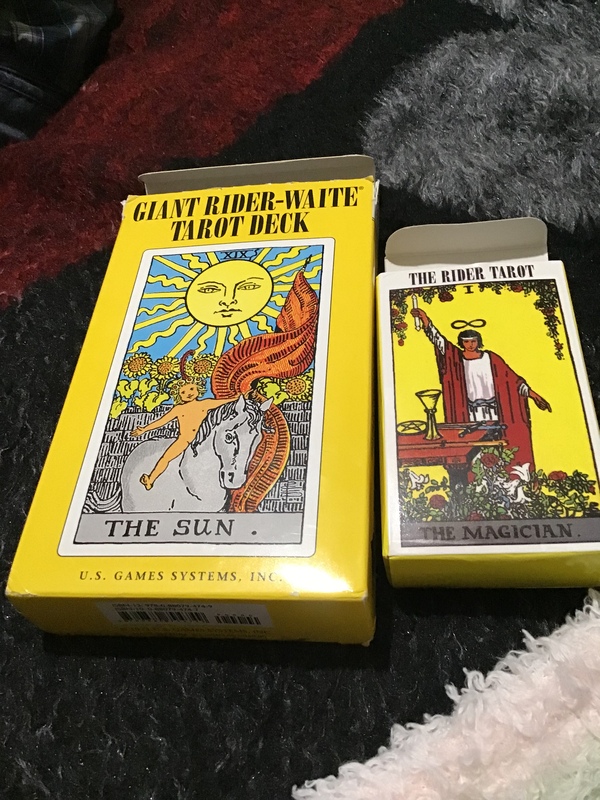 Here you have the best priced tarot cards on the market right now. This deck is a little smaller than average tarot card decks, which cover your entire hand. These convenient cards can fit into the palm of your hand, making them just a smidge smaller than average playing cards. You can take this deck with you anywhere without having to worry about wear and tear of your cards, thanks to the tin box provided. P.S–This is the deck I am currently using!